Studying a Master in Applied Data Science at Frankfurt School is actually a combination between data science and business which is something interesting to do, especially if you are wondering whether you should do MBA or data science. 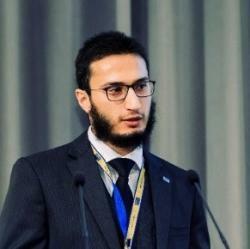 For me, the Master in Applied Data Science program at Frankfurt School is a unique chance to fulfill my passion. I have been studying for about 3 months and I can say that I have learned a lot. Learning is more interesting when it is combined with practice. As a student, the most interesting classes are those where I get the chance to experience the knowledge rather than just following the slides. Bringing knowledge into practice is the whole idea about why we are learning. Otherwise, knowledge which you don’t use, you lose! The good news is that Frankfurt School gives you the opportunity to practice your knowledge not only during lectures but guess what? Yes, with Hackathons! If you are wondering what a Hackathon is, just remember that it is something you wouldn’t like to miss if you want to practice your knowledge, meet interesting people, do coding, learn about current challenges, see real business issues, and network with a potential future employer. Therefore, in Hackathons, you are always a winner! This was my first experience with a Hackathon and my first Hackathon organized at Frankfurt School. The Hackathon took place in the AI Lab which is a place Master in Applied Data Science students are always interested to visit. 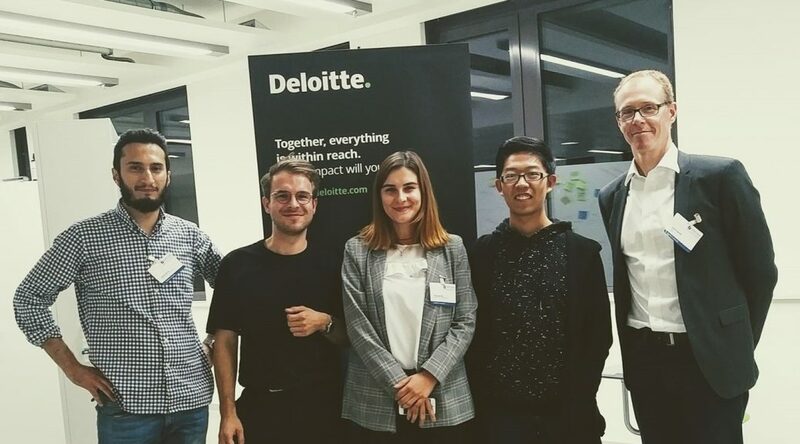 The Frankfurt School Hackathon with Deloitte was very challenging; we had to work on real business issues from the early morning till the late evening. Several teams were introduced to these business issues related to either: (1) What are the “Must-Have” Finance Products & Services for the future? ; or (2) In what year will e-cars become mainstream? Regardless of which topic you were assigned to, the biggest challenge was how to frame a real business challenge into a clear problem definition. Discussions kicked off around AI lab tables and there were many questions about our assigned topics. As time passed, clearer images started to develop about what the solution should look like. The next challenge was to find the data to understand and explain our problem. By the end of the day, we had gone back and forth between problem definition, finding the suitable data, explaining the data and finally translating this data into valuable information that can help us solve our business challenge. This was actually a challenge that Deloitte experts have to deal with on a daily basis. I struggled during this challenge as we were unlimited in terms of the data or what we should do with it. The only limitation we had was that by the end of the day we needed to deliver a full presentation. After about 12 hours, four teams presented their solutions and many points were discussed by the other teams and the Deloitte experts. Finally, at the end of the day the winners were announced and a prize pool of 3,000 euros as well as an invitation to visit Deloitte were awarded to the first and second place teams. I was honored to be a Frankfurt School Hackathon winner. Thanks to my great team Erik Lehmann, Laura Mina, and Haowei Shi. The Programme Director was proud to see that two of the four members of the winning team were Master in Applied Data Science students! Although one day we will finish our Master in Applied Data Science program, we, as the first intake will always be connected to Frankfurt School to support the next generations and see what and how they do. It would be great to see future Master in Applied Data Science students keeping up the spirit and competing in upcoming Hackathons. 2nd Place Team: Lucie Neumann, Michelle Liu, Mohammed Safiulla Dadabai and Tim Weinert came in second place.